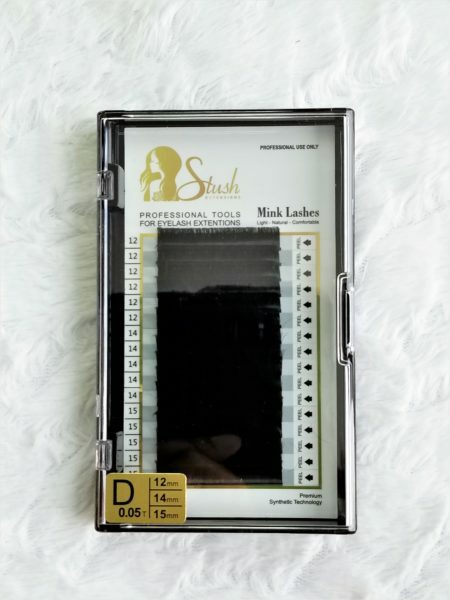 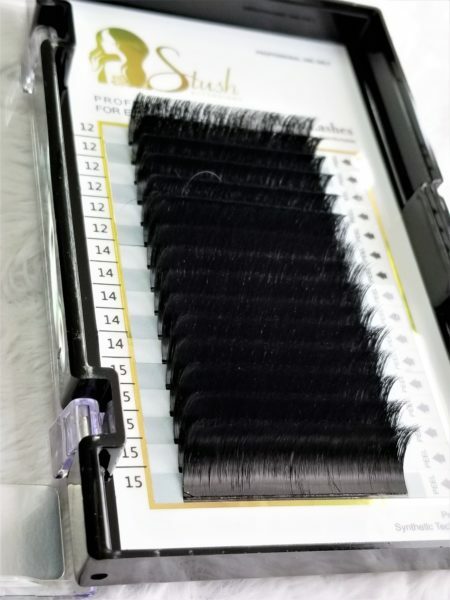 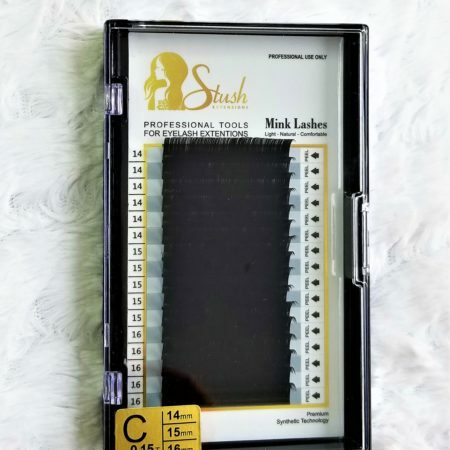 These trays are 16 line One second volume lashes, with a “D” curl in thickness 0.05. 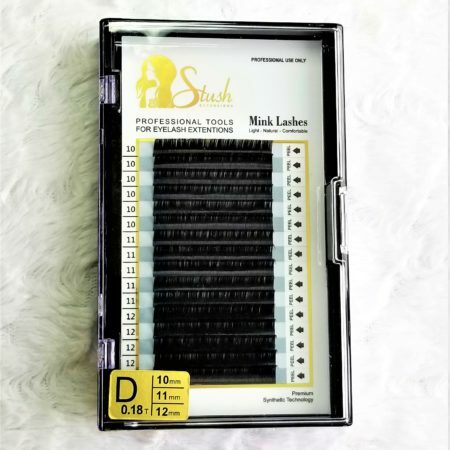 Lengths inside of the tray are 12mm, 14mm, 15mm. 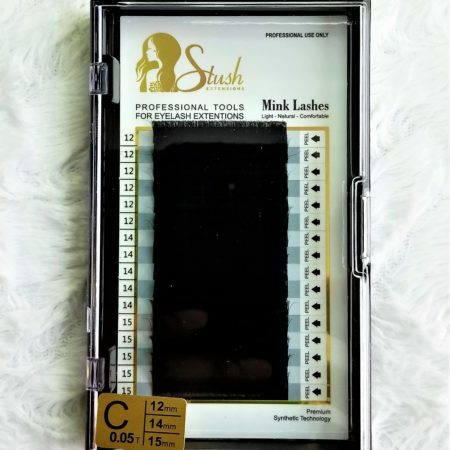 Specially designed so that whether you select two lashes or 10d the lashes will remain on one root unless you seperate them intentionally.